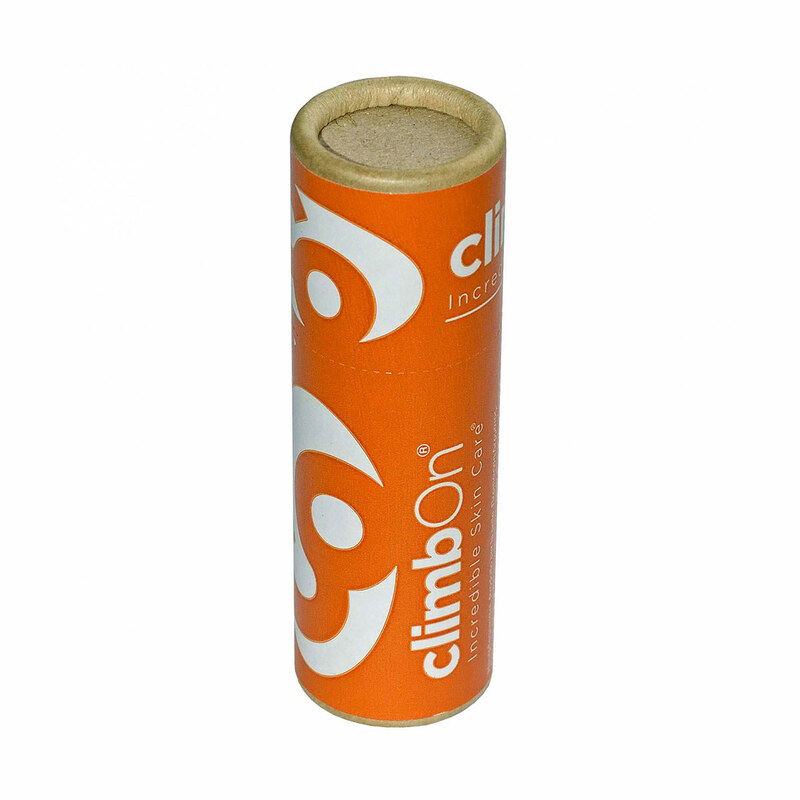 The ClimbOn Mini Tube is great if you want to enjoy all the goodness of the ClimbOn Bar but in a handy compostable, biodegradable tube form. Easy to apply and good for the planet, rub it into damaged skin after or during climbing to help rejuvenate and and soothe your hands so you can carry on climbing the next day. It's made from all natural ingredients, including lavender and Neroli oil to promote feelings of calm and happiness. And it comes highly recommended by climbers the world over. INGREDIENTS Grapeseed oil, apricot kernel oil, yellow beeswax, wheatgerm oil, tocopherol (Vit. E.) and Climb On! 's proprietary blend of 100% pure essential oils.